To make your own artificial topiary tree follow the steps below! To start, I spray painted this plastic planter I found at a local dollar store. I wanted to give it a stone look, so I bought a textured spray paint. I used a primer first to ensure the paint would stick well. Then I coated the planter with multicolor textured spray paint by Rust oleum, in the color Caribbean sand. While the paint was drying I stained the wood dowel using wood tint. The color I used is walnut. This tint is soo much easier to use (than wood stain) for smaller projects like this one. When the planter was done drying, I added a piece of tape to cover a small drainage hole in the center and added stones (that I had on hand) to give it some weight. I cut a block of floral foam to size, so that it fit snuggly in the planter. 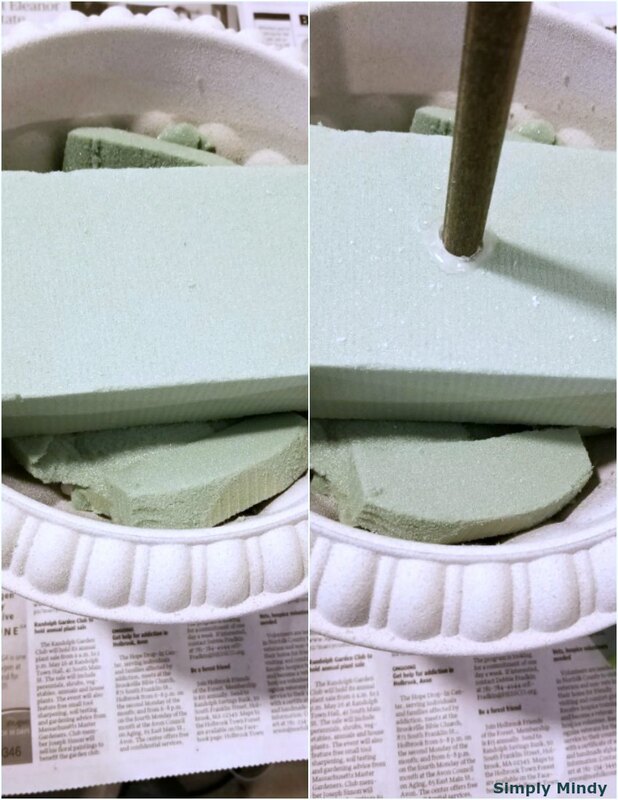 I inserted the dowel into the foam and glued it into place to secure it. In hindsight, I should have waited to glue the dowel into place after putting the moss on the balls. I ended up pulling the foam out of the planter to maneuver around the foam ball while gluing the moss. With the dowel in place, I added each foam ball by simply pushing the dowel through the center of the ball. No magic trick here! Just use your eye to make sure the ball goes on straight and is not lopsided. After I had all three balls on, I spaced them evenly and glued around the opening to secure. The last step was to add the moss. I will warn you, this stuff is messy to work with. Be sure to cover your work surface in order to contain the mess! 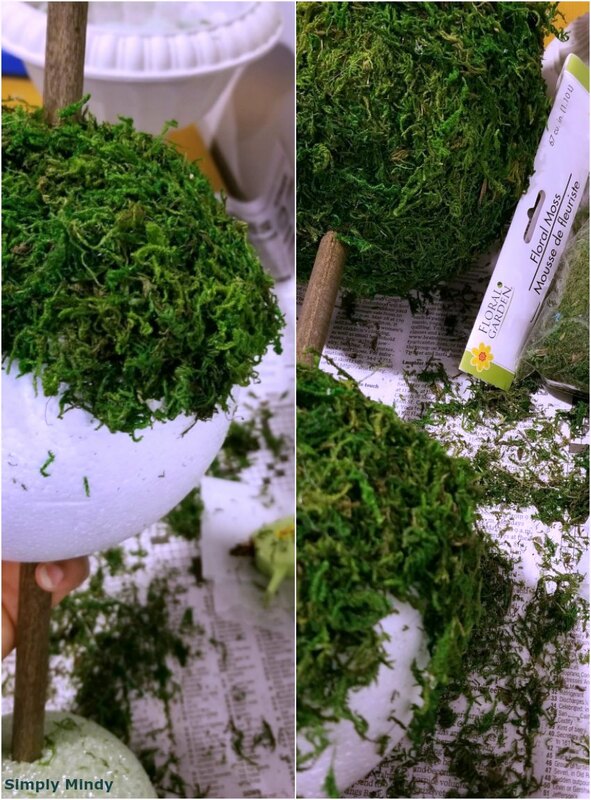 I worked in small sections at a time, adding glue and placing the moss onto each foam ball. I used the floral moss to cover the balls, and the spanish moss to cover the floral foam in the planter base. This was the most time consuming part of creating this artificial topiary. 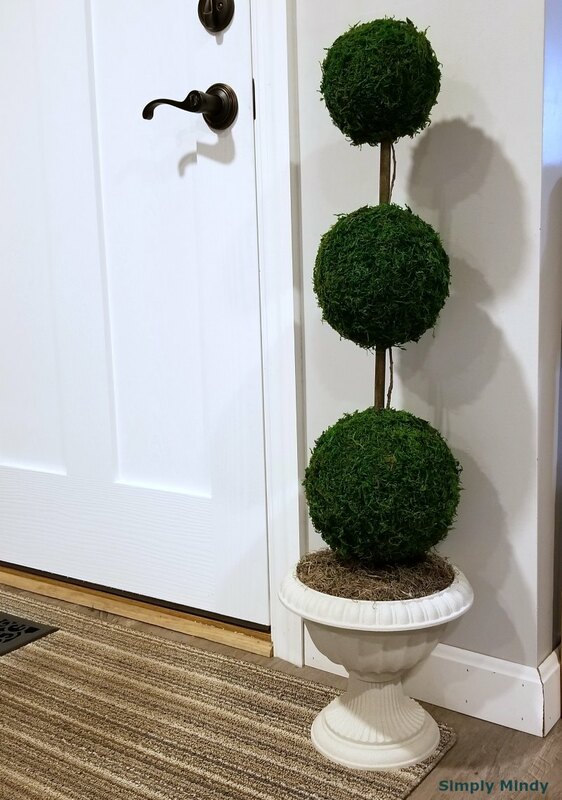 Of course the finishing touch to add a little life to this artificial plant was gluing pieces of real twigs between each ball. 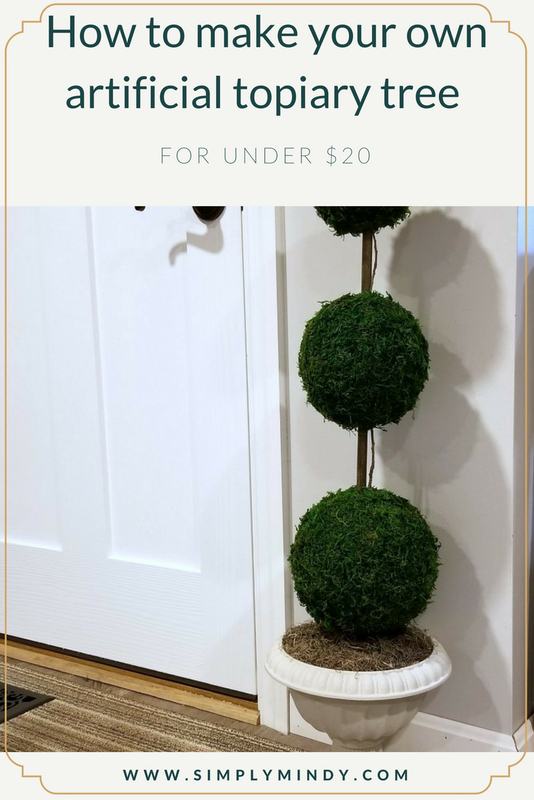 Save this tutorial for how to make your own artificial topiary tree!